The excellent heat retention and long-lasting durability make cast iron ideal for all cuts, and the hearty grate marks sear meats and seal in flavor. 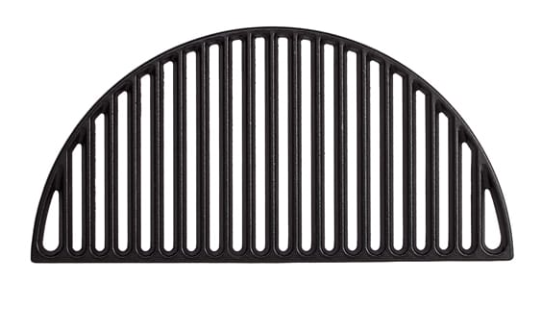 This cast iron grate is ideal for cooking any type of beef, chicken or pork and it is guaranteed to help lock in an abundance of flavor! Available for both Classic and Big Joe. You can grab one this weekend for 25% off!